the worse lost by any Superbowl winning team in a regular season game. However, this time would be a different story. The Saints were challenged last week by their Head Coach, Sean Payton who came into their locker room with $250k cash and the Lombardi trophy and told his team, “If you want it, win three games and it’s yours. It was also a game that saw Eagles quarterback Nick Foles with a chance to get back to the NFC Championship game after taking over for injured Carson Wentz for a second straight season. In the end, that was not to be as a Philly drive was killed via interception. On the Saints first possession, quarterback Drew Brees was picked off by Eagles Cornerback C. Leblanc. The Eagles, led by quarterback Nick Foles, would take advantage and go 76 yards in seven plays to score with Foles hooking up with wide receiver Jordan Matthews for a 37-yard strike for a touchdown with 10:41 remaining in the first quarter to take a 7 to 0 lead. When the Saints got the ball back they would go three and out and were forced to punt. Foles would strike again this time on the ground on a one-yard run for the touchdown with 4:37 remaining to give the Eagles a 14-0 lead over the Saints. It was at this point that many in America had to be wondering if Foles was going to pull off the impossible. Sean Payton decided to take a gamble on fourth and one and called a fake punt by direct snapping the ball to back up quarterback Tayson Hill and picked up the first down. From that point, Saints would never look back. With 7:23 in the second quarter, Drew Brees would hook up with wide receiver Keith Kirkwood on a two-yard touchdown pass. Will Lutz would add three points with a 45-yard field goal at 0:06 remaining in the half and the Saints would trail by four points. 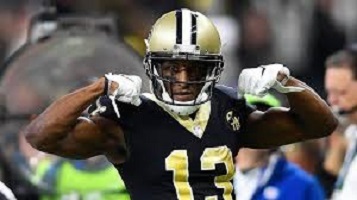 In the third quarter, New Orleans would take the lead with 1:40 left to play as Brees would find his main target Michael Thomas for a two-yard touchdown pass. It would give the Saints their first lead in the game 17-14. New Orleans would extend their lead later in the fourth quarter with a 39-yard field goal by Will Lutz, giving them a 20-14 lead. With 2:43 remaining Will Lutz missed the 52-yard field goal giving Philly another chance to advance to the NFC championship game and a date with the L.A. Rams. Once again, that feeling started creeping in. Foles and the Eagles had the ball on the Eagles 42 with just over two minutes to go. They would drive down to the Philly 27 when disaster struck. With 2:31 left in the Eagles QB Nick Foles was picked off for a second time by New Orleans CB Marshon Lattimore, his second of the game, sealing the Eagles fate and sending the Saints to their third NFC Championship game to face the Rams for an explosive rematch. Earlier in the year, the Saints defeated the Rams 45-35 in a very hostile Mercedes Benz Superdome. It should be even more hostile this coming Sunday. Brees would finish the game 28-38 with 301 yards, two touchdowns, and one interception. Foles would finish 18-31, 201 yards one touchdown and two picks.